Practice doesn't always make perfect when it comes to becoming the next Mozart, a new study suggests. 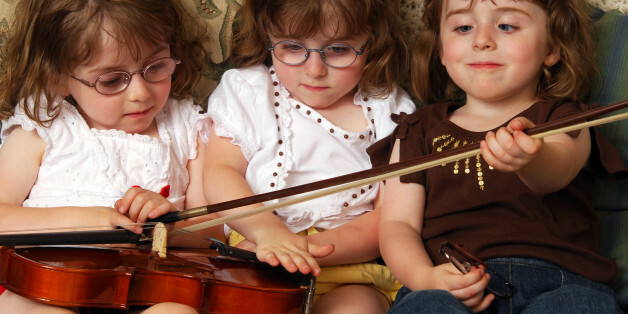 Researchers compared pairs of identical twins, and found that no matter how hard one twin had practiced up until that point in their life, the other twin who had practiced much less still had an equal level of ability in certain musical skills. This may be because some aspects of musical talent are built into the genes, the researchers said. Mosey and her colleagues looked at the DNA of 1,211 pairs of adult identical twins, who share almost 100 percent of their genes, and 1,358 pairs of fraternal twins, who share an average of 50 percent of their genes. Those who played a musical instrument or sang reported how many years they practiced, and for how many hours a week, at different ages over their lives. Mosey then tested the participants' musical abilities to see if practice had an effect on ability. She looked at how well people could detect differences in pitch, distinguish different melodies and recognize different rhythms. Like most people, Mosey assumed that those who put in more practice time would earn higher scores on their ability than those who practiced less, she said. But when she compared lifetime practice scores with musical abilities between identical twins, Mosey found no relationship between the amount of practice time and her measure of musical ability. Two twins could have an equal level of musical ability, no matter how much more one twin practiced compared with the other, the researchers found. In one case, a twin practiced 20,228 hours more than his twin, but still had the same musical ability as the other twin. The researchers concluded that genetics — or perhaps other factors, such as environmental influences — play a larger role than practice in certain aspects of musical talent such as recognizing pitch and rhythms. Mosey and her colleagues made another interesting finding: Genes may determine a person's motivation to practice. The majority of participants who reported practicing a lot also shared a high percentage of the same genes. "The association between practice and skill was largely due to the same genes, suggesting that practice will not necessarily make you perfect, but it certainly will enhance your skills," Mosey said. But the findings certainly do not mean students should be discouraged from practicing. "Clearly, practice will increase many skills necessary for playing an instrument (e.g., handling of the instrument, fine motor skills etc. ), and is necessary to become a good player," Mosey said. The study was published July 30 in the journal Psychological Science. Follow Jillian Rose Lim @jillroselim. Follow us @livescience, Facebook & Google+. Original article on Live Science. 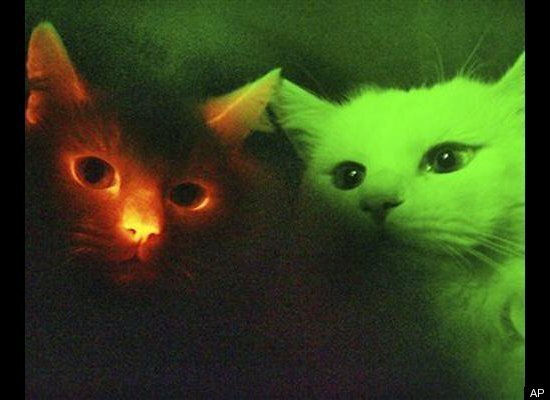 In 2007, South Korean scientists altered a cat’s DNA to make it glow in the dark and then took that DNA and cloned other cats from it — creating a set of fluffy, <a href="http://www.theguardian.com/science/2011/sep/11/genetically-modified-glowing-cats" target="_blank">fluorescent felines</a>. Here’s how they did it: The researchers took skin cells from Turkish Angora female cats and used a virus to insert genetic instructions for making red fluorescent protein. Then they put the gene-altered nuclei into the eggs for cloning, and the cloned embryos were implanted back into the donor cats — making the cats the surrogate mothers for their own clones. What’s the point of creating a pet that doubles as a nightlight? Scientists say the ability to engineer animals with fluorescent proteins will enable them to artificially create animals with human genetic diseases.